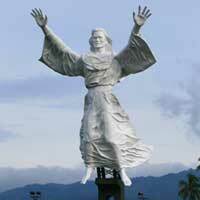 Manado or Menado is a beach city which has 17 km away beach line and located at Manado Bay. 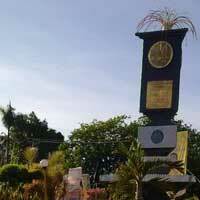 Manado is also the capital of Sulawesi Utara Province. The city which is called as Kota Tinutuan is surrounded by hills and mountains. There are many tourism spots you can visit. 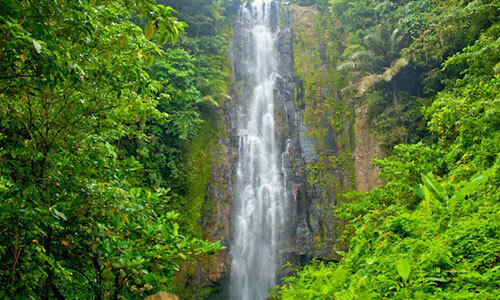 Bunaken National Park is the main destination in Manado. Or you cam also go to Tinoor Waterfaal, Tondano Lake, Likupang Beach and many more. 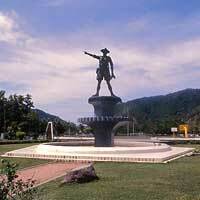 In the early 16th century, Manado City was known as the development of Negeri Pogidon visited by many foreigners. The word "œManado" was taken from Mana and Rou or Mana Dou from Minahasa language which means far away. The name Pogidon then starts to become Manado in 1623, when many Europeans started to recognize Minahasa-Manado land as a popular land for its nature products. 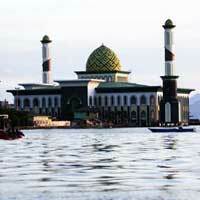 If you want to see the best natural port in Indonesia, you can go to Samudera Bitung Port. You can both enjoy the beautiful sea-view and shop many souvenirs. 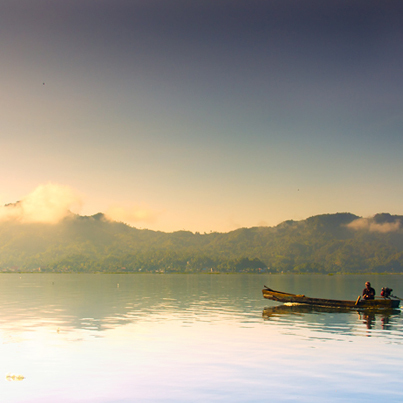 Then there's Tondano Lake which is the widest lake in Sulawesi Utara and has its own legend. 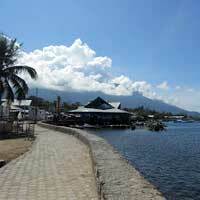 There are many interesting tourist spots in Manado, one of them is Bunaken Island. The paradise for diving lovers and photography lovers. 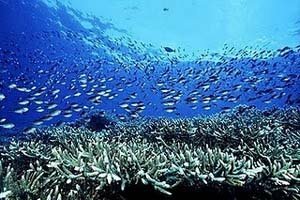 Beside the exotic atmosphere, Bunaken Island also has an amazing underwater scenery. For you who want to get interaction with wild animals, there's Taman Safari Naemundung. 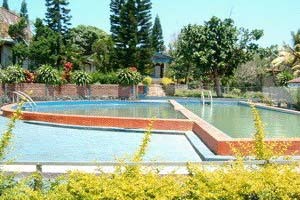 In this place, you'll feel like you're in a private zoo for you can see directly various typical animals of Sulawesi Utara like Tarcius Spectrum. Tarcius Spectrum is like a monkey believed as the smallest monkey in the world. There's also Babi Rusa (deer pig) is a pig which has horn like deers and many more. There are many interesting foods you can find in Manado City, one of them is Tinutuan. Tinutuan is a porridge originally from Manado. This porridge is a bit different from common porridge we might find a lot. Tinutuan is made of rice then mixed with various vegetables. There's also Saut, made of young banana tree, flavored and mixed with meat. Those ingredients are then put into a bamboo then roasted for few hours.